Once a year, all the kibbutzim in the area get together and have a huge farmer’s market. Luckily for the students, we were here during that time! We all hopped on the bus and headed to a kibbutz just to the north of us and spent a few happy hours shopping around the booths and enjoying the live performances which included a comedic trio with some muppet-like puppets and a band which we named “Soundcheck.” Because not many things grow here during the summer, there weren’t any booths selling fresh crops. Instead there were a variety of handmade crafts, including a metal worker (complete with hammer and anvil, pounding out nails as we watched), books (yes, I bought one), ceramics, different types of engraving, soap clothes etc. ; and some awesome food. I managed to get myself the first hamburger I’ve had in months with some potato chips, but there were also crepes, some indian food, corn on a stick and all sorts of different pastries. It was a nice changed from the dining hall food. Because it was a holiday, I spent a good amount of time hiking in the desert, and this particular hike required more than one picture. One of the researchers with the institute, a seasoned hiker, took me on a new route, about five kilometers (total I think) to the north. We not only played in an old army outpost (okay, I played and he explained what everything was), but walked down a beautiful wadi that flooded in the last rainstorm (hence the abundance of things growing) and came down a new path to the kibbutz which featured a beautiful view of the Jordanian mountains just before sunset. We walked pretty fast and managed to make the hike in about three and a half hours. Later on in the week I went on a hike one morning down a different wadi (though equally beautiful) with some great rock climbing. I climbed up a crack and at the top there was a ledge to sit on, drink water, and survey the wadi twenty feet below. Unfortunately, I didn’t bring my camera on that hike, because at the base of the wadi I saw an ibex! Finally! It was the birthday of the significant other of one of our students (he currently works on the kibbutz) so she had the idea to throw him a surprise pancake birthday party and we helped decorate the student lounge, make pancakes, and create “Happy Birthday” signs in as many languages as we could muster between us (which was around six or seven). Chocolate chip pancakes are always a good way to start the morning, and that was no exception today! #datkibbutzlyfe: With Simchat Torah came the end of the onslaught of holidays here in Israel. Simchat Torah is the completion of the reading of the Torah. In addition to this, there’s lots of dancing, singing, clapping and chanting. Although I couldn’t understand any of the words, I happily joined in the conga lines and dancing that circled a representational torah in the center of the synagogue with a friend occasionally translating. To be quite honest, the dancing was much more like jumping and running, and the singing was much more like chanting and shouting; but the important part was the community feeling that was created among the young people of the kibbutz (the ones with enough energy to do all of this running and jumping) and the celebration of the end of the holidays. Now it’s back to having five days of school rather than the nice three days we’ve been having with four day weekends….Sort of. Due to a variety of field trips we aren’t truly settling into a set school schedule for a couple more weeks, but I’ll certainly have some exciting blog posts! #datkibbutzlyfe: A note on the privatization of kibbutzim around Israel. I had an interesting conversation with one of the members of the kibbutz at the pub the other evening about privatization attempts around Ketura and the cause of privatization of kibbutzim around the country. He said that the privatization of kibbutzim around the country started occurring when the government began to pull the subsidies it was providing to the kibbutzim in order to bolster its funding towards defense. This caused the privatization of the kibbutzim that could no longer support themselves because, as money ran out, people began to question the inequalities on the kibbutz (e.g. “he works less than I do, but gets paid the same”). He explained that many of the kibbutzim were established with the zionist ideology. What kept the communities together was the idea that they were there to settle land within Israel and create this new country. One of the reasons Ketura hasn’t become privatized is because it was created with the idea of being a socialist community, that’s the driving force behind the kibbutz. When that wasn’t the driving force behind the kibbutzim, they tended to collapse and become privatized when government money stopped keeping their check books balanced. The way he explained this was that the kibbutzim failed, not because of a systematic failure (e.g. 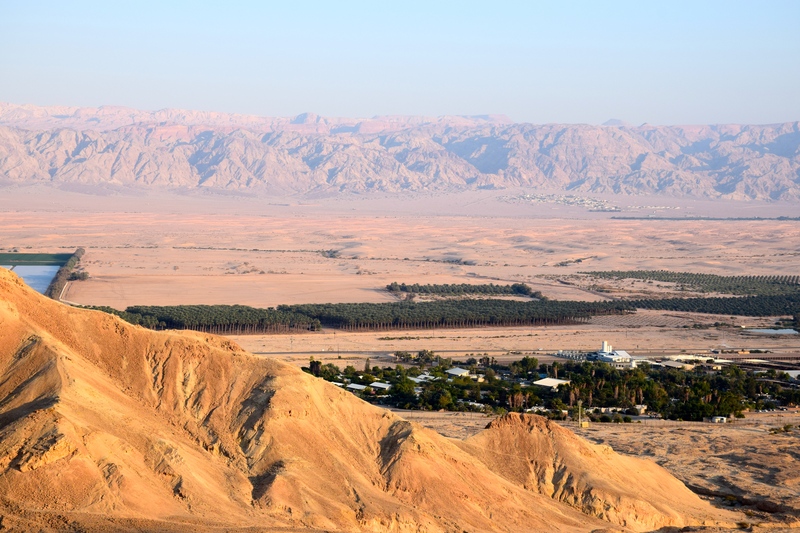 socialism doesn’t work) but because the driving force behind these kibbutzim wasn’t the idea of having a socialist community, but settling the land in the desert. This can also explain why more kibbutzim are becoming nonsecular. 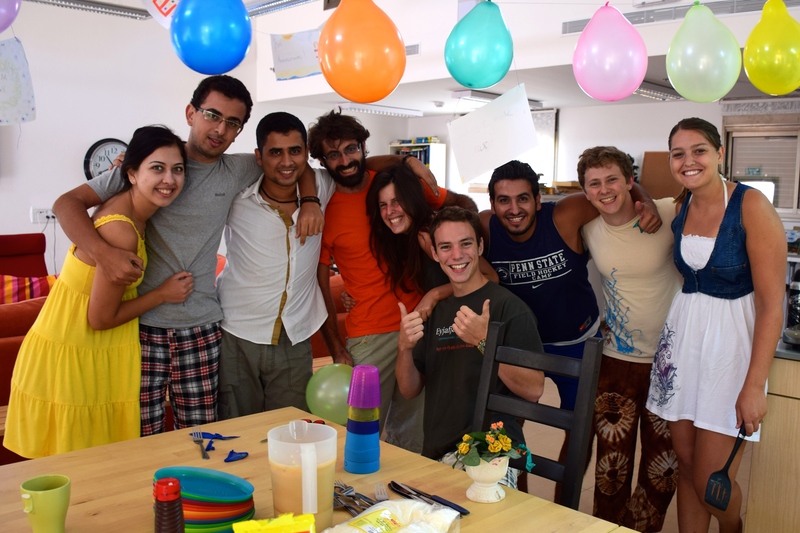 Although the movement started with al of the kibbutzim being secular, recent years have shown a rise in nonsecular kibbutzim. For these kibbutzim, the driving force that hold the community together has been religion rather than socialism. As far as privatization of this kibbutz, it’s not a phenomenon that is likely to happen. However, there are people who wish to see places like the dining hall or laundry become more privatized because they don’t use those services so they don’t see why they should be paying for them. This is an interesting issue to me because, when you look at problem, people not using the laundry or dining hall, the conversation is turned towards privatizing these institutions rather than asking the folks who don’t use them why they don’t use them and what changes should be made to make them more efficient, helpful, better etc. That conversation doesn’t seem to be occurring as often as the conversation about privatization which I find fascinating. As instated, it’s unlikely that full privatization, or even somewhat privatization of the kibbutz is likely to occur and I think the reason is twofold, one is that it’s not necessarily the wish of the majority and decisions here are made in a democratic fashion, but also because the driving force behind this kibbutz is that all of the people living here want to live in a socialist community. Although some may have different views for living as a community, I don’t think that overall they want to see privatization come to the kibbutz, I think that they’re just having the wrong conversations.